Dense compact pile fleece jacket in a shaped ladies fit. The Jerzees 8700F Ladies Fleece Jacket in 100 percent polyester. Anti-pill, dense compact fleece. Unlined. Shaped fit. Panel design with cover stitching detail. Collar high full zip. Two front zip pockets. Hemmed cuffs. Adjustable drawcord waist. 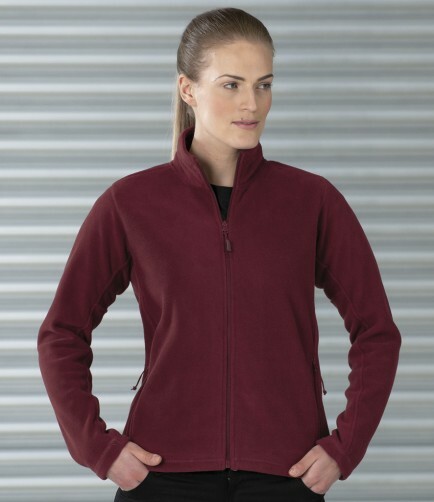 The Jerzees 8700F Ladies Fleece Jacket has a fabric weight of 320gsm.